I haven’t danced regularly in almost a year. In fact, the last time I did any serious amount of dancing was at a small weekend congress about 5 months ago. Even then, my main reason for going was because a bunch of my friends were going too and we organized everything together. I’m pretty sure I’ve forgotten a large proportion of my already small repertoire of moves. Actually, I feel that I’d be pretty rusty if I even tried to dance right now. While I do want to dance and socialize like I used to before, I can’t really work up enough motivation to get me to the club for the night. I’m in a dance-free rut… like I said, I’ve lost my mojo. I’ve felt something like this before… when I lived in Cali, Colombia and my entire social life revolved almost exclusively around dancing salsa (as is common in Cali). I remember going through a period when I just didn’t enjoy dancing as much as I usually do. The difference now is that back then, I made the effort to go out and meet up with my friends to dance. I’d dance a few songs, realize I just wasn’t “feeling” it and disappear early… smoke bomb… peace out, salseros! It’s a very strange feeling; not finding enjoyment in something you’re usually so passionate about. I mean, I have a blog called “The Dancing Irishman”, I’ve written about how much I love dance for years and I’ve introduced lots of people to the world of dance… So if dance doesn’t get me going anymore, something must be up, right? I eventually got over my dancing rut in Colombia and went about my latin-flavored life as normal, having fun, meeting people and learning new things. Unfortunately, I still haven’t “gotten over” this current spell of dancelessness (this is now a word, by the way). And it’s been quite a doozy of a dance-free period. I’m sure I’m not the first person in dance history, that has lost their mojo like this. It probably happens to everyone who has been dancing for a while. When I try to think of “why” this might happen to someone, or “what” might cause it, I have to admit that their really could be a lot of possible reasons; with all those reasons depending on everyone’s individual circumstances… in other words “Life”! Sometimes, it just gets in the way. When I lost my mojo in Colombia, I’m pretty sure it was because I had gotten bored with “my” dance scene in Cali. I say “my” because it was the scene I created for myself: where “I” went regularly, with “my” group of friends. I had made it something regular and predictable and consequently, I got bored with the same places, the same people and the same style of dancing, week after week. I still loved the places, people, and dancing but I guess I had just overdone it and it had lost some of it’s novelty for me. I suppose that can potentially happen with any good relationship, right? Like the relationship of a married couple. It starts out full of passion and excitement but over time it becomes a little tamer. Then either the couple does something to spice the marriage up again (new activities, vacations, chains and whips and whatnot!!!) to find that original passion or, over time, the marriage begins to fail. So in Cali, I went through a “rough” patch with my dancing but I gave it time and everything was golden again… for a time. This current “rough” patch has been a little bit different. Earlier in the year I launched my own business and all of my time now goes towards that and a couple of other jobs that I maintain. Free time has become a rarity and I’m usually so tired that some vigorous dancing isn’t the first thing to spring to mind when I think of unwinding after a long day. To add insult to injury, a pretty nasty groin injury has made dancing physically painful and the rehab I’m doing is expected to take quite a while to get me back to 100%. The strange thing is that I’m not sure if I’m using that as a reason for not dancing… or as an excuse. I remember my rough patch in Colombia. It worried me that I didn’t want to dance and that made me force myself to dance even though I wasn’t feeling it (I actually thought of writing an article something along the lines of what you’re reading right now. I just never got around to it). I should probably have just continued on with my non-dance activities until I the desire to dance just welled back up inside me, instead of forcing myself to enjoy something when the time wasn’t right. I guess that may be the crux of the whole issue… timing (how coincidental eh!). For most of us, we started dancing salsa when the timing in our lives was just right. We probably found ourselves at some point, brought about by life events, that gave us (or forced upon us) free time that we decided to fill. What might have started out as pure curiosity then, through that same fortuitous timing, developed into a passion; something that brought real joy to our lives. 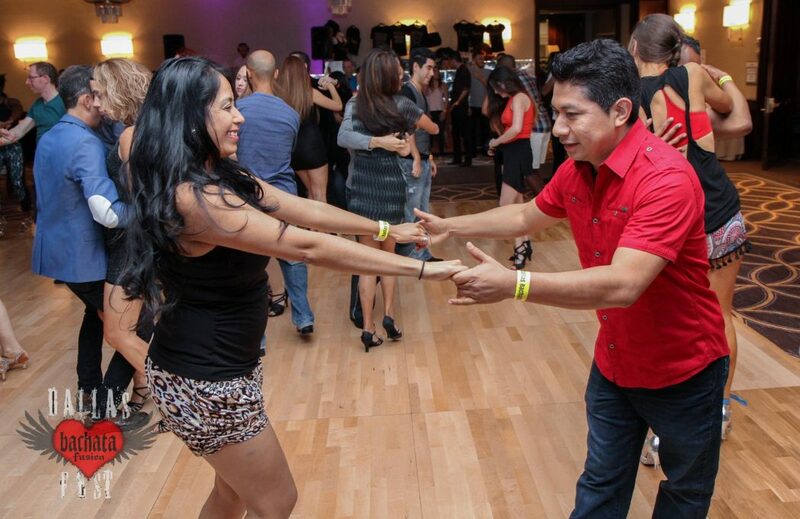 New friends, exercise, new experiences and all the other benefits that salsa brings. However, timing can also be fickle and just as it suddenly brought something wonderful into your lives, it jams something else into your life that takes priority. How well you weather that the whole experience will probably determine if dance remains an important part of your life… or not. (Writing this makes me shockingly aware of relatable this could be to actual romantic relationships too. Timing is a powerful force). I don’t regret my new priorities in life! On the contrary, I’m incredibly happy and feel blessed to be doing something that I truly love for a living. I suppose I just miss dancing and all it’s associated fun, a little. The great thing about this “rough” patch in my relationship with salsa is that it really doesn’t matter if we take a break… dance will always wait for me, if I decide to come back (which I hope to). Dance won’t be offended if it doesn’t hear from me for a while, it’ll let me do my thing until I’m ready. Sorry to hear about this! My longest disconnects from dancing have been two and three week vacations which left me feeling disconnected from dance for a couple weeks afterward. You still understand the memories of dance and just need to get out and dance for three months or so to recover the muscle training. In athletics it generally takes three weeks of retraining for each week or athletics missed due to an injury. When you do come back, pay attention to refreshing your dance skills by working on new things you always wanted to do but didn’t feel like tackling. Reprise your motivations for social dancing so your motivations remain strong and improve.Welcome back! Thanks David, that sounds like a pretty good approach to getting back on the horse once I get around to it. Richie — I’m going through something very similar right now. I still enjoy dancing, but after about 8-10 social dances, I’m ready to leave any dance event I may be attending. And — if I’m honest about it, I only attend social dance events, (outside of my ladies’ team practices), once every couple of months. I have many other friends who feel the same way. Do you think that enthusiasm for salsa dancing in general is on the wane? Some of my friends and I talk about this all of the time. I’d be interested in hearing your thoughts. Thanks! Melissa. I really don’t know. I don’t want to say that salsa dancing is waning because that would be a huge trend and would probably depend on the area/city/country. But I’ve often thought that it might have something to do with how popular salsa (and social dancing in general) have become. When I first started dancing, it was very, very low key… almost clandestine. That made it really special for me. In Cali, Colombia, everybody dances so maybe I started to get a little bored with it there for that reason. Here in Barcelona, the dance scene is huge, it’s not a cozy little community where everyone knows everyone… maybe that has something to do with it. I’m just typing things as they enter my head but that community thing is hitting a chord with me. Maybe I need to feel more like part of the community to enjoy it. Which would mean it’s on me to make myself more part of the community, which I haven’t been doing because of work obligations….